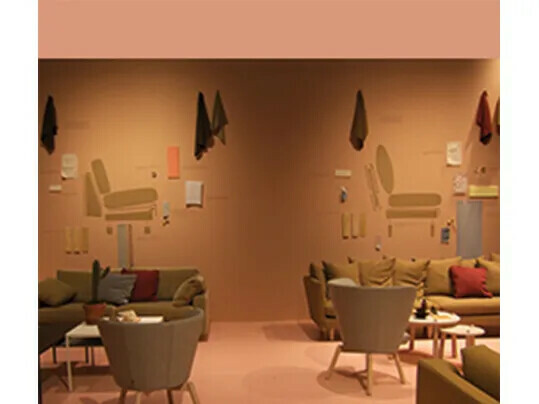 Without any doubt scrolling through this newsletter you will experience the Stockholm Furniture Fair 2016 as a warm & welcome colourful event. Beautiful ranges of intense and outspoken colours could be enjoyed in this show. Gradations of warm tones were omnipresent ranging from pastel to muted to very deep and saturated. Yellow was also prominent and seemed to play a major role. Outspoken pink floors were applied in several booths and fitted seamlessly well in these warm colour cocoons. A pink invasion that seemed to challenge the ever so popular neutral flooring colours. With the celebration of colours and the making of graphic statements clearly an extrovert mindset could be experienced at this years fair. Definitely it felt as the right timing for a sneak preview of our laser engraved Marmoleum Signature series. 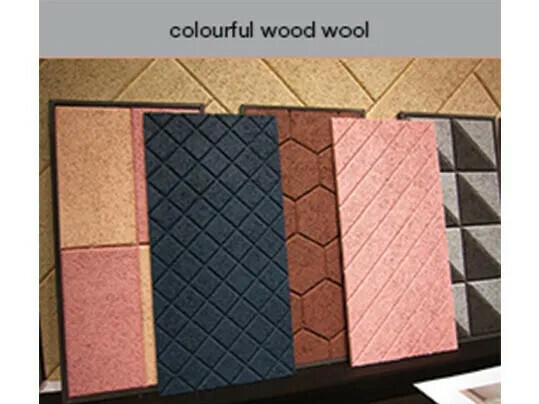 colourful wood wool- traditional building materials transformed into contemporary colourful modular acoustic panels & tiles. Baux acoustic panels & tiles are made from wood wool, cement and water. 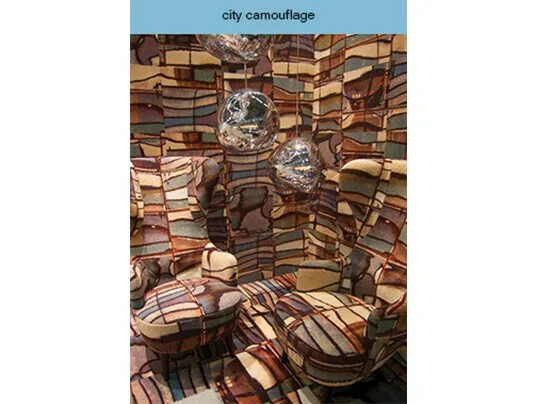 On their website some beautiful inspirational modular patterns can be found. 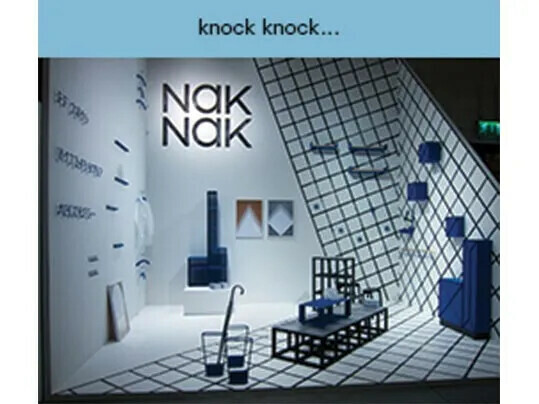 'knock knock' - Nak Nak products are mainly made using wire bending and sheet folding techniques and is based in a 30-year-old, family owned metal workshop in Taiwan. The name Nak Nak is inspired by the ‘knock knock’ sound of the metal workshop. 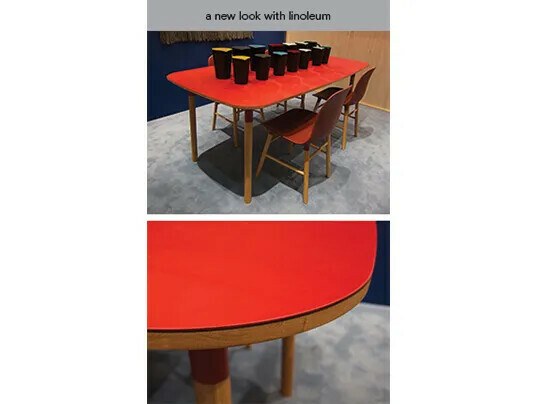 a new look in linoleum- The Form Collection by the Danish designer Simon Legald for Normann Copenhagen. 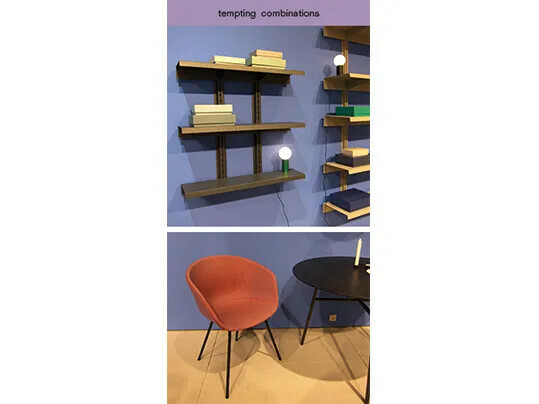 The Danish company Normann Copenhagen adds new designs to their furniture range and builds upon existing collections. 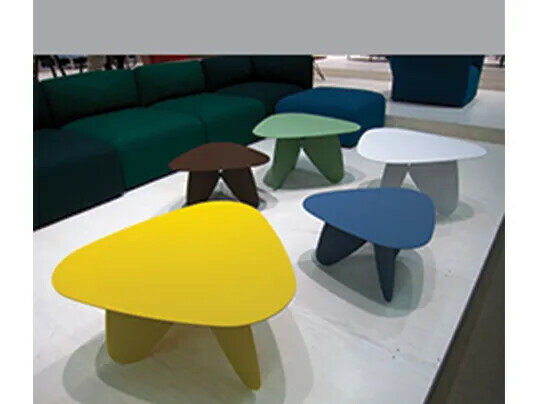 The Form chairs get a textile overhaul and the Slice table gets a new look with linoleum. 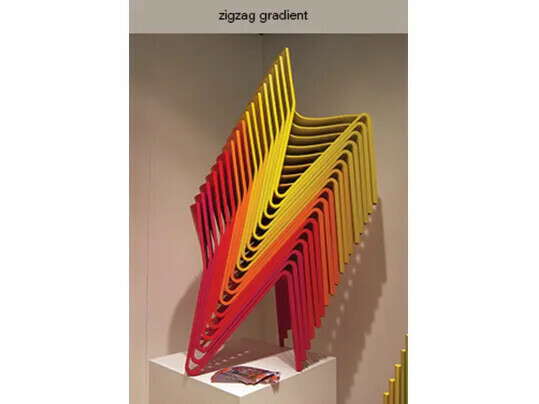 zigzag gradient- the Ply collection is manufactured in Latvia. 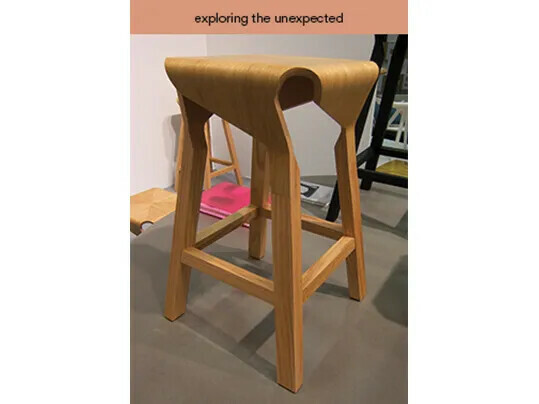 exploring the unexpected- the Noashima stool is a design by the Emiliana Design Studio. The studio is based in Barcelona and founded by the designers Ana Mir and Emili Padrós. Ana and Emili are known for their innovative and unconventional approach by exploring the unexpected in materials, objects and spaces. 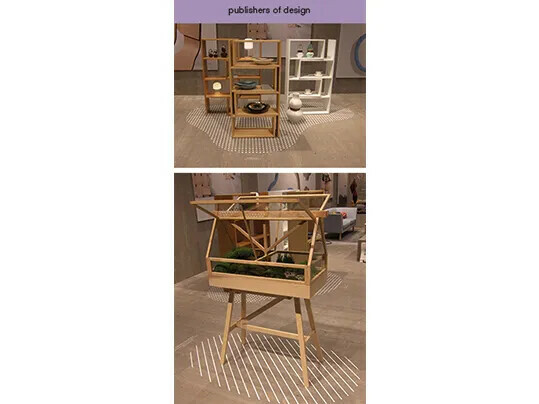 publishers of design- the Design House Stockholm presents itself as publisher of design rather than a conventional producer. 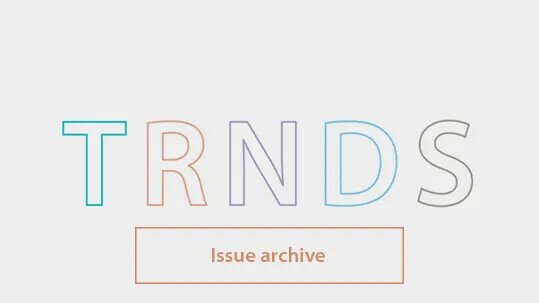 A selected group of Scandinavian designers is invited to bring their personal ideas. Some of these ideas are selected for further development and production. 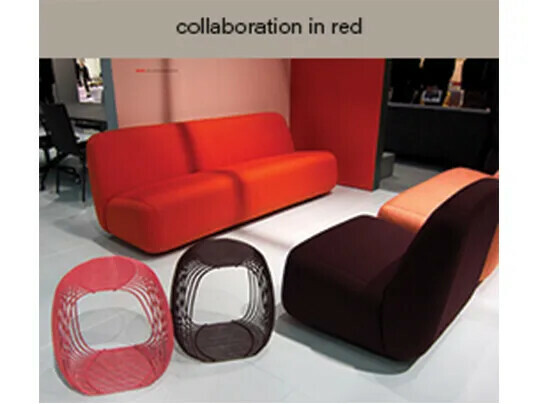 collaboration in red- in a new collaboration Lammhults introduces 'easy chair' and 'sofa Aperi' designed by Julia Läufer and Marcus Keichel. tempting colour combinations- an attractive presentation of the company Hay with beautiful colour combinations. yellow- a very prominent colour at this fair, used in different lightness and saturation, ranging from intense to bleached. And often in a surprising way convincingly mixed with a other colours. whirls & Twirls- Cirque lamp by Clara von Zweigbergk is developed in collaboration with the Danish company Louis Poulsen. The Cirque lamp is inspired on the spinning around of carousels and wheels of fortune, the optically merging colour into horizontal bands of colour, and the whirls and twirls of Tivoli in Copenhagen. 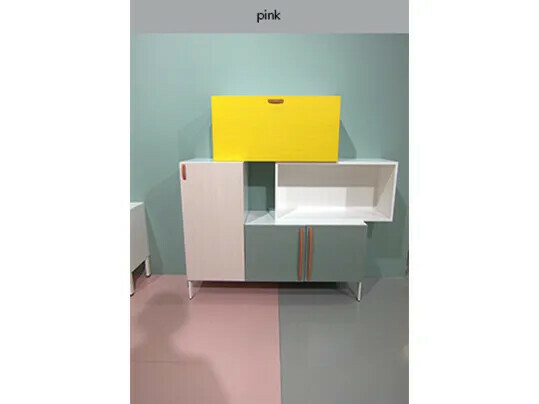 pink- many presentations in this furniture fair applied an outspoken pink colour on the floor. 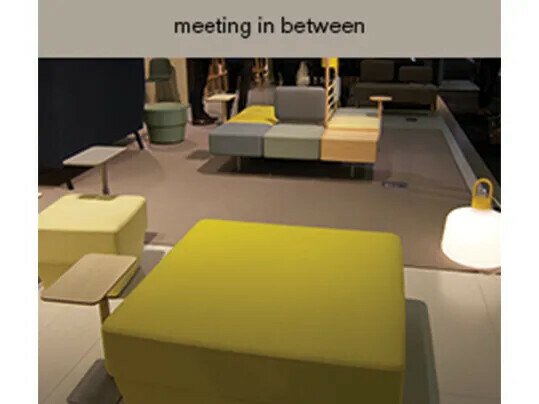 meetings in between- the collections Konnekt and Botanic offer places for meetings somewhere between the work-station and the conference room. The small gap between the stools offers a natural place to mount backrests, tables and other accessories. 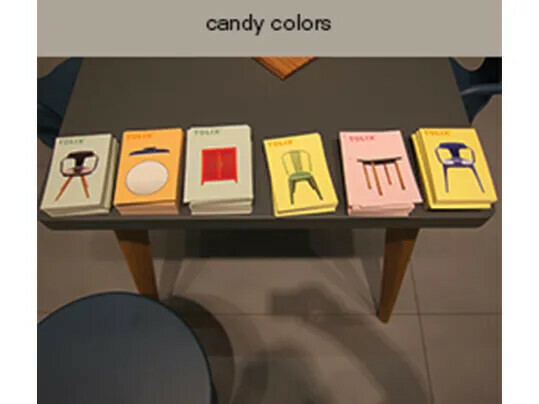 candy- a series of printed cards representing the huge amount of sweet colours which could be experienced at the fairgrounds. peach coloured cocoon - the Swedish company Ire created an overwhelming peach coloured environment. 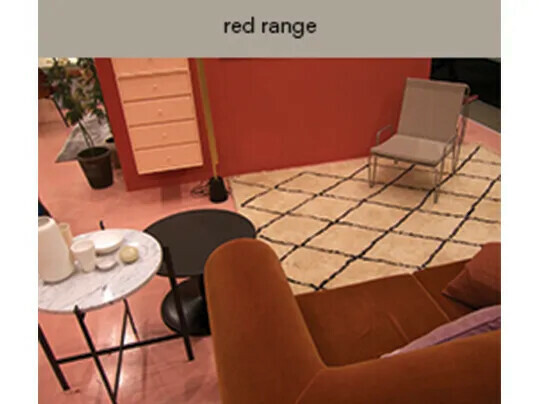 An inspiring context for the colours applied in their furniture such as ochre, brick red and pink and light grey. 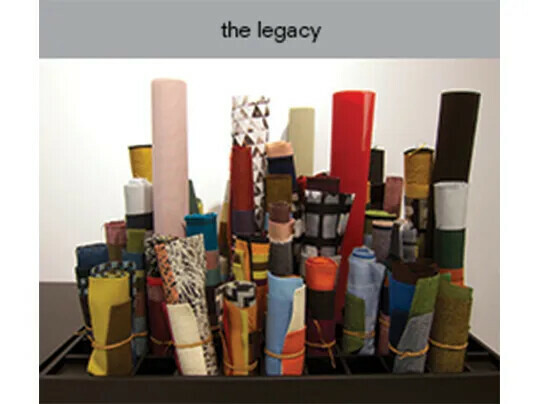 heritage- rolls of fabric which give an impression of the broad colour range of Svensson interior textile collection. Svensson is a Swedish company founded in 1887 and at this very moment still managed by the Ludvig Svensson family. 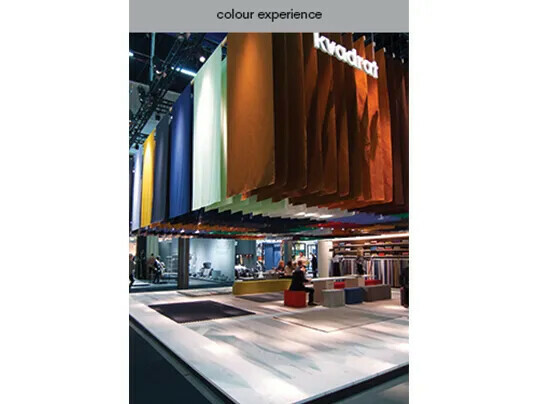 colour experience- The colourful exhibition of Kvadrat was designed by architect Jacob Manz. streets of London- commissioned by the Danish manufacturer Ege the British designer Tom Dixon has created a collection of 7 rugs. The designs are inspired on architectural shapes found in the streets of London. The patterns and textures are based on the erosion process from building materials such as paving slabs, bricks and railway backdrops. 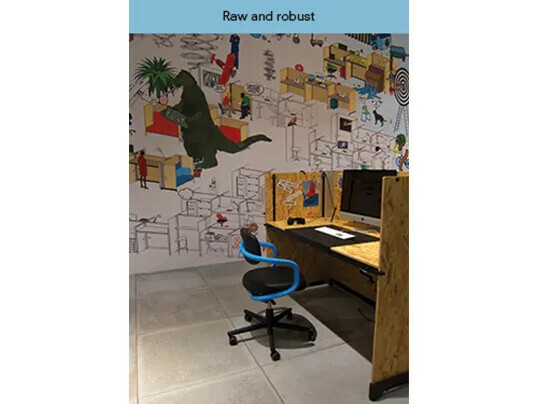 raw and robust- Konstantin Grcic's OSB hack table design for Vitra is a versatile desk for office settings. The ‘hack’ unit is a table system that has been specially developed to cater to the individual requirements. The robust straight forward functional desk is made out of low budget OSB wood. contemporary engraving- During the fair one of the designs of the pre-launch series of Marmoleum Signature was presented. The pre-launch of this series is aimed at Sweden, NL, UK, en USA. 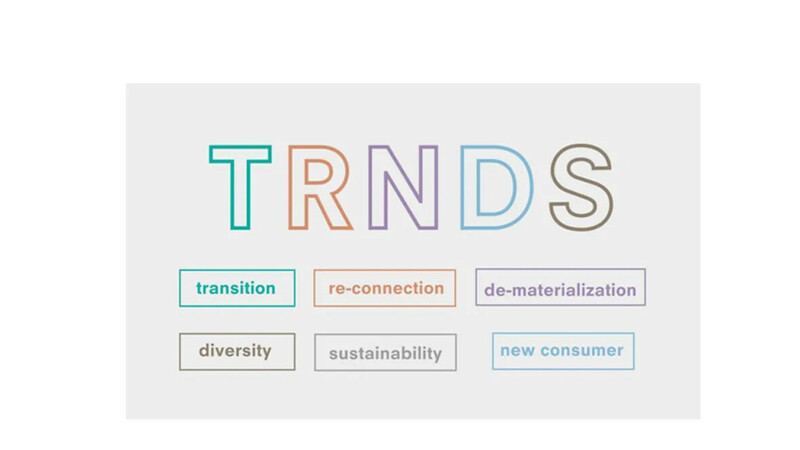 In September 2016 there an official global launch of Marmoleum Signature is planned. 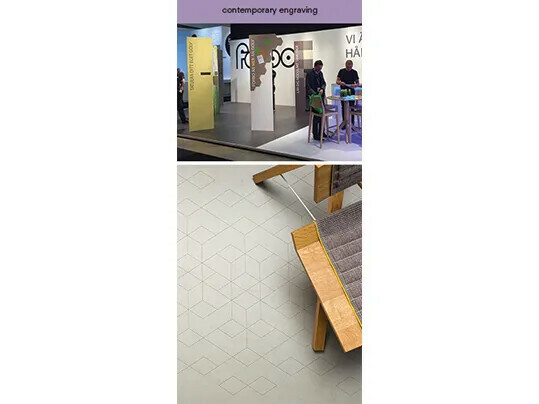 Marmoleum Signature is a contemporary laser engraved design series. 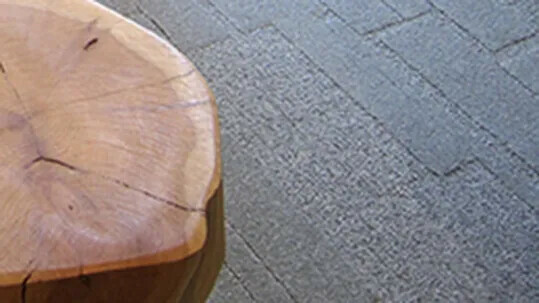 The designs relate to the characteristics of the Marmoleum visual and explore the possibilities of the engraving process. Engraved in our Marmoleum Modular tiles it emphasises the playful identity of the collection.